Financial independence is a goal for any successful man, and while finding your way to steady income and learning how to save money are key components of achieving it, another major step in the process is learning how to invest wisely. Now, perhaps you’re in a situation that allows you to pay an expert to manage your investments, and this isn’t something you need to spend a great deal of time on. If that’s the case, congratulations and well done. But for most people, particularly in the younger days of their professional careers and independent lives, personal investment is more realistic—you just need to learn how to go about it. To be clear, learning personal investment strategies can be a life-long process. There’s never an end to the intelligence you can develop as an investor, and to some extent your own personal situation will dictate your financial strategy. But that’s not to say there are not some all-encompassing general tips that can help you get off to a good start! Here are five in particular to keep in mind. This is one of the most common, and undoubtedly one of the most important, pieces of advice out there for private investors or those just opening trading accounts. Basically, the idea is to avoid letting a personal attachment to a company or industry affect your financial decisions. Perhaps you have a particular appreciation for a given tech company, or someone in your family works for a great up-and-coming online business that just went public. There are endless reasons for investors to have personal attachments to stocks and companies—and when it comes to pure finance, they’re all irrelevant. Being a disciplined investor means making decisions purely based on the factors related to company performance and projection. This is another common tip, and one articulated nicely by financial expert Suze Orman in an article for Yahoo Finance. Orman wrote, “Most people when they’re beginning to invest don’t have a lot of money. So, you don’t want to buy just one individual stock because if that individual stock happens to go down—and it can happen—there goes all your money. Diversification is the key.” This is a perfect fundamental explanation of the principle of diversification, and the same principle applies even for those investing significantly more funds. By diversifying your account—not just between different individual stocks, but across various industries that operate independently—you’re making it less likely that you experience a net loss at any one time. Many people feel perfectly confident starting out as private investors, until they actually sit down at their computers and try to figure out the logistics! The fact is, you can’t just go to a website and start making trades. However, that doesn’t mean the process is particularly complicated. An outline at FXCM explains the process of jumping into the stock exchange with concise clarity by stating, “investors need only find a brokerage who is a member of the NYSE (New York Stock Exchange). Through the brokerage, investors buy and sell stocks … from quotes provided to the brokerage from the NYSE.” In short, you need a certified brokerage to execute your trades for you, and selecting one that appeals to you can take some time. But once you’re set up, the process of buying and selling stocks becomes quite efficient. 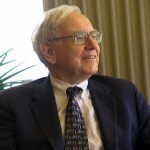 This is a brilliant tip from none other than Warren Buffett, who was quoted as saying, “It’s far better to buy a wonderful company at a fair price than a fair company at a wonderful price.” It’s a simple statement, but a profound one when considering that many new investors tend to be attracted to low prices and what might seem like good deals at a glance. This isn’t to say low-priced stocks never work out, as that’s certainly not the case. But at the heart of Buffett’s advice is the idea that the actual company you’re investing in is ultimately more meaningful than the price you buy it at. What goes unmentioned is that the rare case of finding a wonderful company at a wonderful price is even better! Finally, it’s always important to stay educated, because as mentioned previously, the process of becoming a strong investor can last as long as you allow it to. Your ongoing education will happen naturally, to some degree, as you learn from your own transactions and tendencies. However, anyone who wants to become a successful investor should also make a strong effort to keep up with the latest advice from experts in the field. There are constantly new strategies and patterns emerging in stock investment, and ceasing your education will leave you lagging behind.